With the departure of two coaches to the PAC-12 earlier in the offseason, Weber State football added Matt Hammer and Jared Ursua just a few weeks before National Signing Day. Hammer is returning to the Wildcats as the inside linebackers coach after spending the last six years as the head coach at Weber High School. Before coaching at Weber High School, Hammer spent seven seasons as an assistant coach at Weber State, including four seasons as the offensive coordinator. 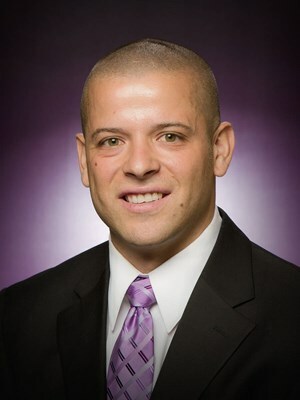 Hammer is looking to bring his experiences as a head coach to the Wildcat football team. While at Weber High School, Hammer led the Warriors to back-to-back unbeaten Region 1 Championships and appeared in the 6A Quarterfinals. In 2017, Hammer received the All-Area Coach of the Year award by the Standard Examiner. Hammer graduated from Southern Utah in 2006, where he played both receiver and defensive back in his four seasons. Hammer attended Clearfield High School. Ursua will coach the wide receivers after spending the last four seasons as an assistant coach at Southern Utah University where he served as the receivers coach. Ursua also played at Southern Utah as a wide receiver and kick returner and graduated in 2011. Ursua is a native of Kailua, Kona, Hawaii.